1-866-OUR-VOTE (Election Protection)/Big Open Records Win for CMD and Common Cause/MoreTweet this! This is a good record for voting in the history of Wisconsin. 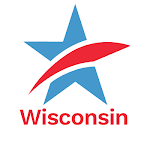 Voters should carry their photo ID during election but here in Wisconsin people do not carry their IDs then how the Wisconsin public records are managed.